Hockey Plumber: Gold Medal Game Favorites? We have reached the penultimate stage of Olympic hockey in 2010. Canada, playing at home, was expected to get here. The U.S. is a bit of a surprise entrant in the gold medal round. Certainly Canada will be favored to win, but should they be? 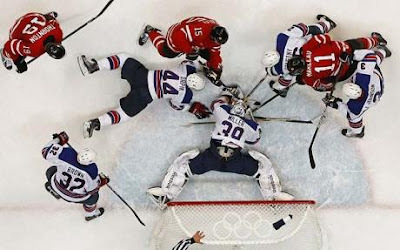 Consider that the U.S. pushed Canada around in the final game of the preliminary round, and chased Marty Brodeur from the net for the duration of the games. Additionally, Team USA has hammered their way into this game while Canada waltzed past a pathetic showing by Russia and then held on for dear life against a motivated Slovakian squad last night. Consider also that goaltender Ryan Miller has been the best player on a well rounded U.S. team, while Roberto Luongo has not been seriously tested, and has, as Mike Milbury put it, "Not been brilliant" in his limited action thus far. 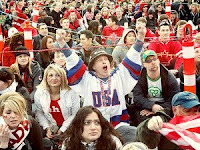 Late Friday night the Canadian crowd began chanting "We want the USA", but do they really?